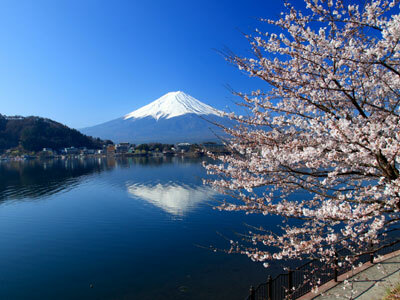 Fly right into the heart of Japan and get a taste of the modern and the ancient, only the cosmopolitan Tokyo can bring. Japan’s capital city boasts of its modern architecture juxtaposed with its cultural heritage. Go shopping to your heart’s delight or explore the Japanese traditions from tea-drinking ceremony to Ikebana or the modern Japanese pop culture and fashion. You can have the best of the old and the new in Tokyo! Tokyo has all kinds of accommodations from the classy and pricey five star hotels to budget rooms. If you are traveling in group, it is best to find hostels that give discount for group bookings. Tokyo International Youth Hostel offers room as low as ¥2,000 per person per night. One good reason of going to Tokyo is its four seasons. Tokyo is one of the few cities in Asia that experiences all four seasons and this gives you a hundred reasons to enjoy each season. Enjoy the cherry blossoms in the pleasant, warm spring days of March to May. If you want it hot and sunny, you would love Tokyo in the summer days from June to August. Be ready, though, for some surprise downpour in late June and for more heat as August approaches. By September to November, you can have Tokyo fine days with cooling autumn temperature. A cozy time to visit Japan, indeed! But if you want to experience cold, snowy days and nights the Japanese way, visit Tokyo during the months of December to February and do not forget to shop for those winter fashion must-haves. Whatever season you decide to take a trip to Tokyo, there is always a reason to do so. Known in the early times as Edo, Tokyo is also known for its castles, most of which were built between the 14th and 15th centuries. There are more than 20 castles in Tokyo. The most popular and most historic of them is the Edo Castle or the Tokyo Imperial Palace where Japan’s Imperial Family resides. It is a stone’s throw away from Tokyo Station. Walk around the grounds and stand in awe before the majestic splendor of Japanese architecture. The best time to visit the Edo castle is during the spring time when cherry blossoms adorn the stone walls. Other castles worth visiting in Tokyo are Odawara, Kawagoe and Sakasai. Sounds very foreign but these are Japanese art and culture you should never miss. You can find Ikebana flower arrangements in Tokyo public places: from train stations to shrines. If you want to learn more about Ikebana, drop by the Ohara School in Aoyama, Tokyo. Be sure to bring home a piece for your loved ones waiting at home. You can go to Itabashin Ward and check out the beauty of Japanese calligraphy called Shodo. And while you are devouring Japanese culture, you might as well buy yourself a ticket to Kabuka-za playhouse in Ginza. There are headphones for hire to listen to English translation of the play. Make sure you have a Yen-filled wallet before you hit the shops, though. Right into the heart of Tokyo is A Bathing Ape Exclusive of BAPE which lets you feast on chic urban fashion or you can grab your favorite designer outfits at Daikanyama Address. An added attraction to this shop is its outdoor plaza and suspension bridges. If you are looking to dress up like your favorite anime character, there is Shibuya 109 and Harajuku Takeshitadori where you can find the latest in Japanese youth culture: from mini-dresses to ankle socks. Alternatively, if you refer retro fashion style, head to Shimokitazawa, a neighborhood in Setagaya Tokyo where it houses many stores selling second hand clothes, vintage dresses and retro toys. To shop for cheap branded goods such as off season Coach bags, go factory outlet shopping! There are several factory outlets in Tokyo metropolitan area, Garden Walk Makuhari and Yokohama World Porters are probably the nearest and about 30 min by train from central Tokyo. If you have more time for shopping, you may want to visit on of the largest factory outlet, Gotemba Premium Outlet which boasts 210 shops and a nice view of Mt Fuji. For techno junkies and geeks, you can spend the whole day and night shopping at Akihabara Electric City. There are many places to dine in Tokyo from the high-end classy restaurants to the food courts in shopping malls. For ¥500 you can have a taste of Japanese ramen noodles or ¥3,000 for an Enkai, a feast of Japanese delicacy at an Izakaya or Japanese bar. When visiting shrine or any religious temple, behave respectfully. Look for signs that tell tourist like you should do. You may be required to take off your shoes, burn incense, or throw some change in a box. Whatever it is, oblige with a smile.